From Wave. The beautiful sniper of Team Dai-Gurren looks perfectly comfortable in her red lingerie, striking a pose that accentuates her figure as she smiles! She keeps her hair up in her playful ponytail, decorated with her skull hair ornament. Yoko also comes wearing red high heel shoes, and even her fingernails are painted red to match her outfit. 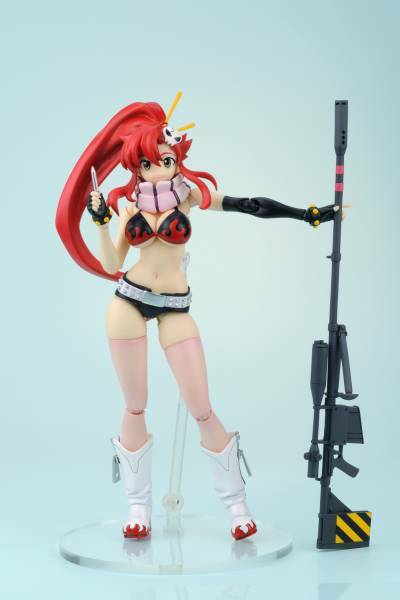 Yoko's neck features a joint that will allow slight posability in her head. Be sure to add this dangerous beauty to your collection! From Milestone. 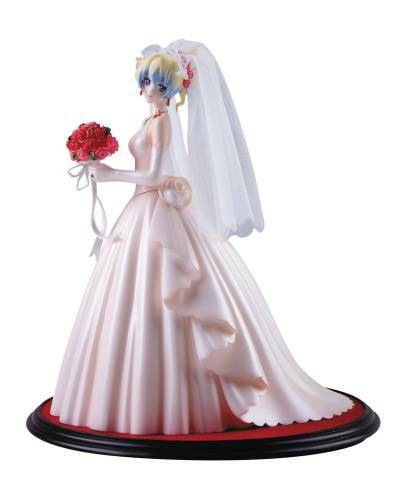 This ravishing figure of the popular character from the hit anime stands just over 10" tall in a recreation of her famed wedding gown.